When Crossrail Opens To Reading, Will Great Western Railway Have Too Many Class 387 Trains? Twelve trains are currently being converted to Heathrow Express duties. But if Crossrail takes over services between London and Reading, then their main use wuill have disappeared. As Reading to Oxford is not fully-electrified, they can’t be used on this route, but both Class 802 and Class 769 trains can. There may be used for trains on routes like. But there won’t be opportunities to use thirty-three trains. 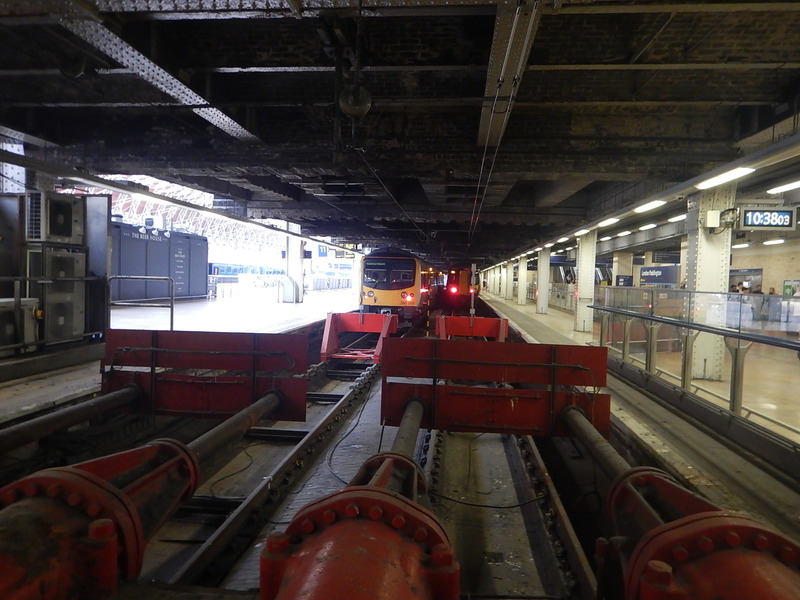 If Crossrail Opens To Reading In December 2019, How Will It Terminate In Paddington? If you look at the Services in the Wikipedia entry for Crossrail, the services on the Western Branch are the following in trains per hour (tph). If these services terminate in Paddington station, then the station must be able to handle twelve tph in the Peak and ten tph at all other times. Perhaps two platforms could be used as follows. Reading and Maidenhead services handling six tph in the Peak and four in the Off Peak. Heathrow Terminal 4 and Heathrow Terminal 5 services, handling six tph all day. Or to give a bit of spare capacity and make it easier for passengers, three platforms could be used as follows. For convenience, services could terminate in the two Northernmost platforms 12,and 14. 13 hseems to have disappeared. These platforms have their own short gate line. They are on the same side of the station, as the slow lines that Crossrail will use to leave the station. Platform 14 is 164 metres long, with platforms 11 and 12 longer. 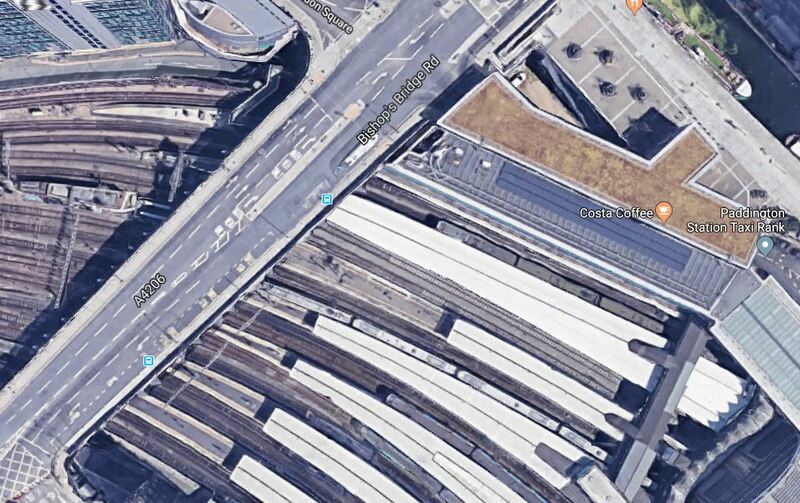 So could these two platforms be turned into a self-contained Crossrail station? There would be enough capacity, if each platform could handle six tph. I don’t think full-length nine-car Crossrail trains could be used, but seven-car trains could fit a 164 metre platform. The lighting needs to be improved. 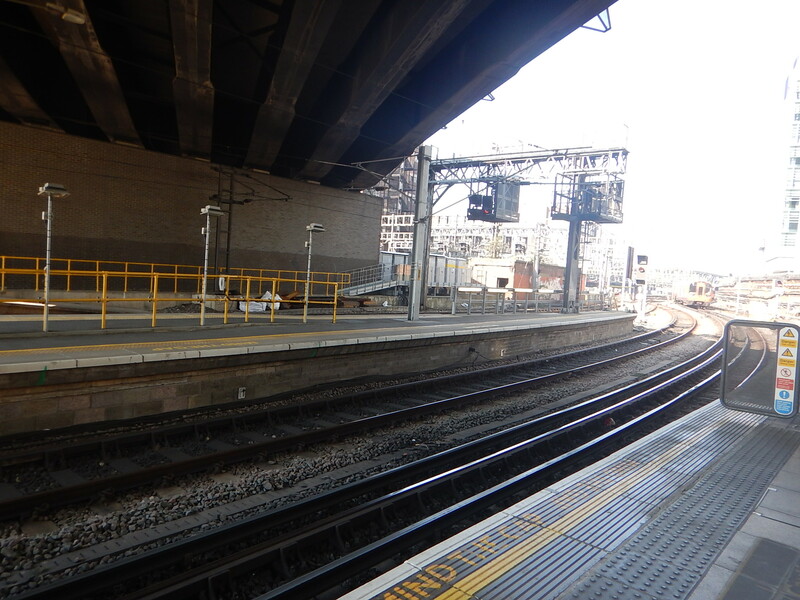 If these platforms could be used for exclusively for Crossrail, there would be no crossing of tracks outside the station involving Crossrail trains. It would be convenient for passengers as they’d just go to the Crossrail station and through the gate. But above all, there would not be a lot of work needed to create a Crossrail station. Unless it was decided to make all platforms capable of handling full-length trains. But hopefully, it would only be needed for a couple of years. One collateral benefit of Crossrail providing the main stopping services to Reading and running Class 802 trains to Bedwyn and Oxford stations, is that almost all use of diesel East of Reading on passenger trains will be eliminated. Over the last couple of days, I’ve had several trips on Class 345 trains, running to Hayes & Harlington station. I found that I was able to time the trains at almost 80 mph in places. They don’t seem to go this fast to Shenfield. Wikipedia says the maximum speed of the trains are 90 mph. I would not be surprised to see 90 mph cruising on some of the longer stretches between stations towards Reading. This will surely mean that when Crossrail opens to Reading, the Crossrail service with all its stops might not be the slowest way to travel between Reading and London. Some Class 800 trains do the trip in as fast as 26 minutes. Class 387 trains do the trip with eight stops in 56 minutes. Most Crossrail Class 345 trains from Reading To Paddington will have fourteen stops. In the Peak, two Class 345 trains in each hour, will take just five stops. Although the Class 387 are modern trains, they probably don’t have the performance and certainly don’t have the digital signalling of the Class 345 trains. I suspect that even with fourteen stops, the Class 345 trains will still do the journey in under an hour, when Crossrail is completed. I suspect that many travellers between Reading and London will be changing their routes. It is rumoured that Crossrail will open to Reading in December 2019, with all services terminating at Paddington in Brunel’s station. I believe that the Class 345 trains will be able to provide a high-capacity service between Paddington and Reading, which will complement the faster and mostly non-stop Great Western Railway services. 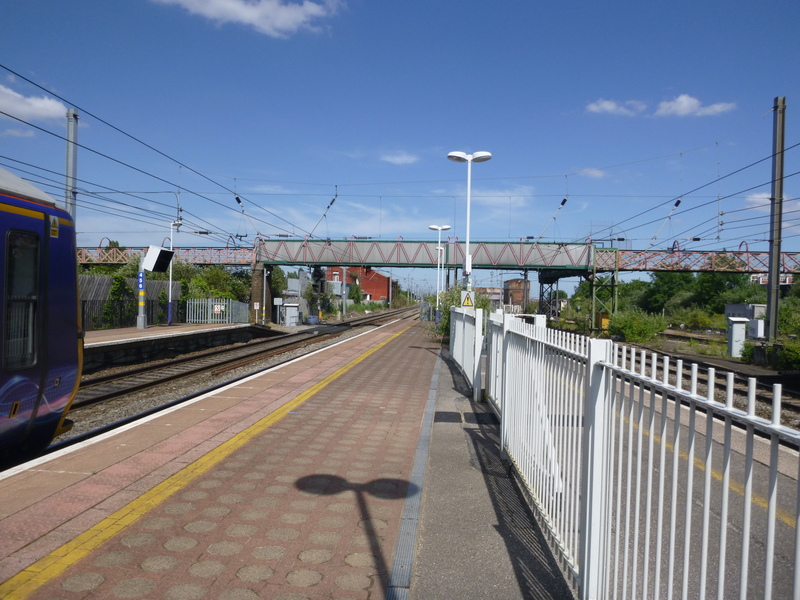 These pictures show Hayes & Harlington station. It will be an important station. There is still a lot of work to do for the station to look like the picture on the hoarding. There are a lot of residential development in the area, including the conversion of an old office block, where I once worked to flats. It will be a step-free interchange for local passengers from the West to Heathrow. The station and the new bay platform are already fully operational. It is planned that Hayes & Harlington station will have a train every six minutes. As current rumours are that Crossrail will open in December to Reading, it looks like the station will be usable, if the architects have got the design right. It is planned that Ealing Broadway station will have a Crossrail train every six minutes. These pictures were taken at West Ealing station. At last there appears to be some progress, with the footbridge now under construction. 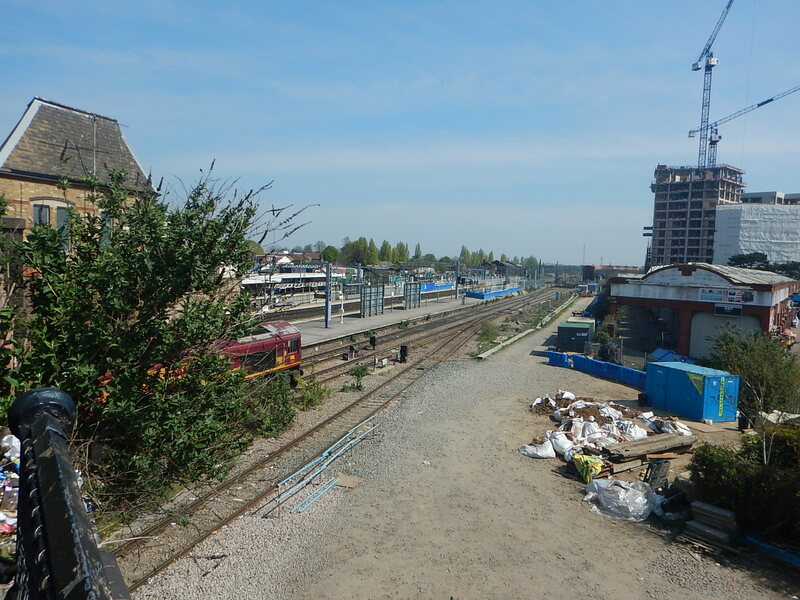 The station certainly looks to be advanced enough, to fit in with Crossrail opening within a year, as I wrote about in Crossrail Service To Reading On Track For December Opening. According to the Wikipedia entry for Crossrail, West EWaling station will have the following trains, when Crossrail opens. Four tph between Heathrow Terminal 4 and Abbey Wood. Two tph between Heathrow Terminal 5 and Abbey Wood. What if you want to go to Shenfield? If the Western section of Crossrail opens in December, would West Ealing station get the following service? That would surely be an excellent service! If the frequency on the Greenford Branch could be doubled to four tph, there would also be an excellent interchange to the branch line. It is planned that West Ealing station will have a Crossrail train every six minutes. These pictures were taken at Acton Main Line station. According to the Wikipedia entry for Crossrail, Acton Main Line station will have four trains per hour (tph) between Heathrow Terminal 4 and Abbey Wood stations, when Crossrail opens. If the Western section of Crossrail opens in December 2019, would Acton Main Line station get a service of four tph between Heathrow Terminal 4 and Paddington? That would certainly meet the standard Transport for London/Merseyrail preferred frequency of at least four tph in a station! It is planned that Acton Main Line station will have a train every fifteen minutes.